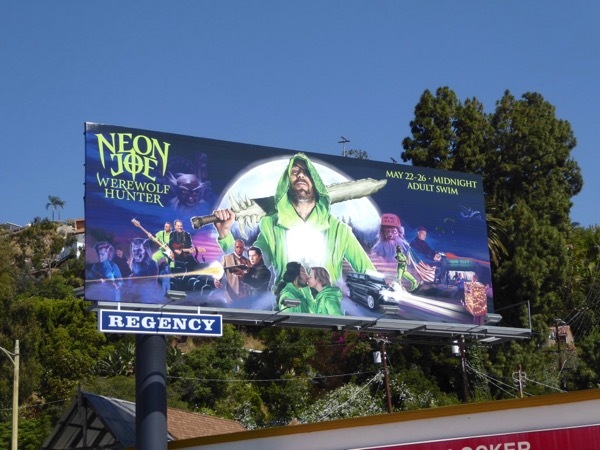 If you ever wondered what Jon Glaser did after his Adult Swim series, Delocated (aside that is from writing for Inside Amy Schumer), he also created and starred in the new TV mini-series Neon Joe, Werewolf Hunter. 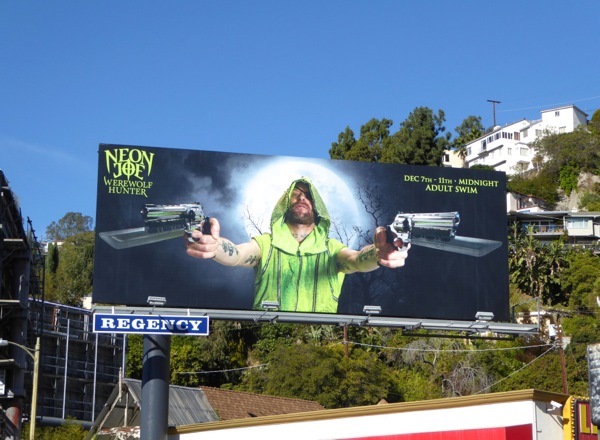 In this slice of supernatural comedy horror, he stars as a werewolf hunter with a mysterious past and a penchant for neon clothes (all the better for them to see him) in the sleepy town of Garrity, Vermont. 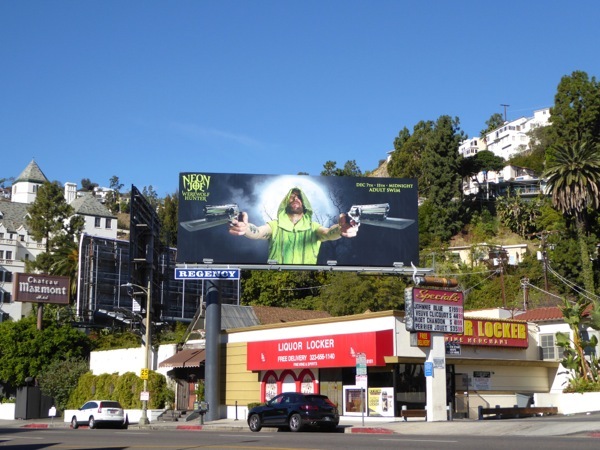 This gun-toting billboard was snapped along Sunset Boulevard in West Hollywood on December 2, 2015, and it reminds Daily Billboard of the Justified season four billboard and also this Underworld Awakening movie billboard (which also featured Lycans). 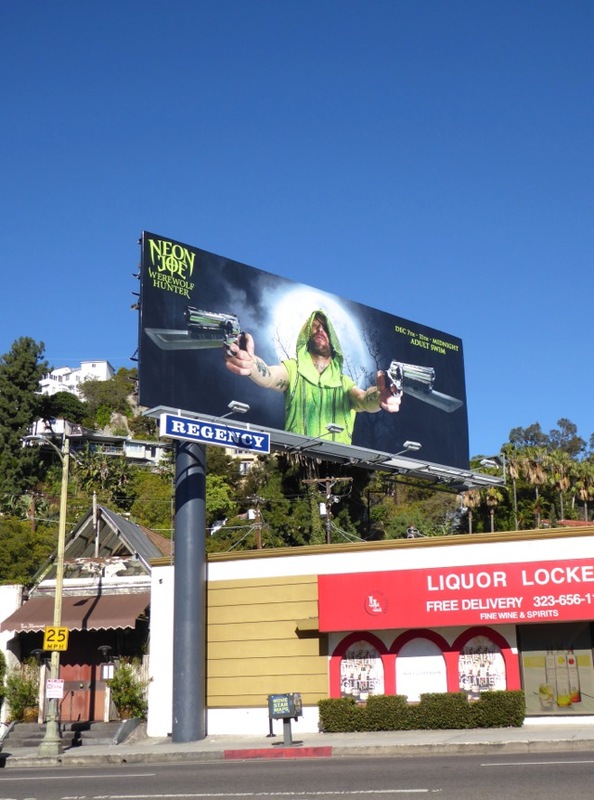 If you're a fan of Jon Glaser, be sure to also check out these fun Delocated TV series billboards from recent years. 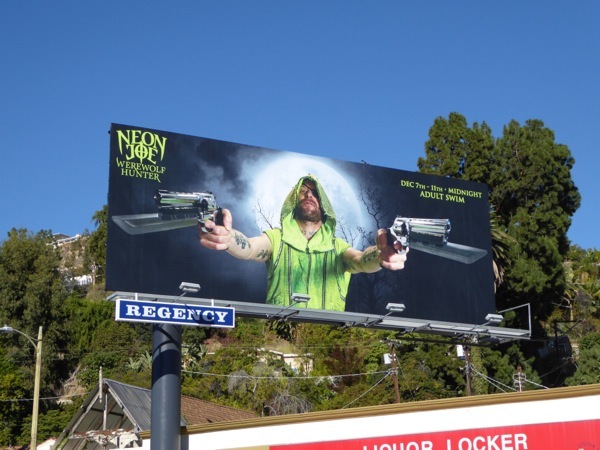 If there's a full moon werewolves beware, there's a new hunter in town, he's got a silver bullet with your name on it and he's not afraid to wear a little neon (he's obviously a fan of the 80s). UPDATED: Jon Glaser is suiting up for another round of werewolf hunting on Adult Swim this summer. 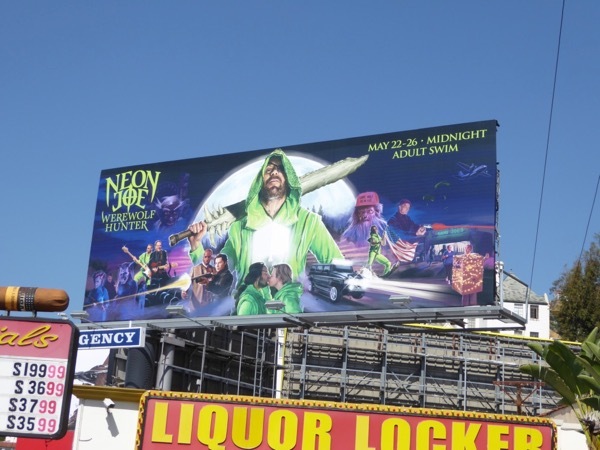 This jam-packed season two billboard for the half-hour comedy, Neon Joe, Werewolf Hunter, was snapped along West Hollywood's Sunset Boulevard on May 18, 2017.